Hi evvveryone! Here is another installment to J and I’s halloween costumes from years past. This one was just last halloween! 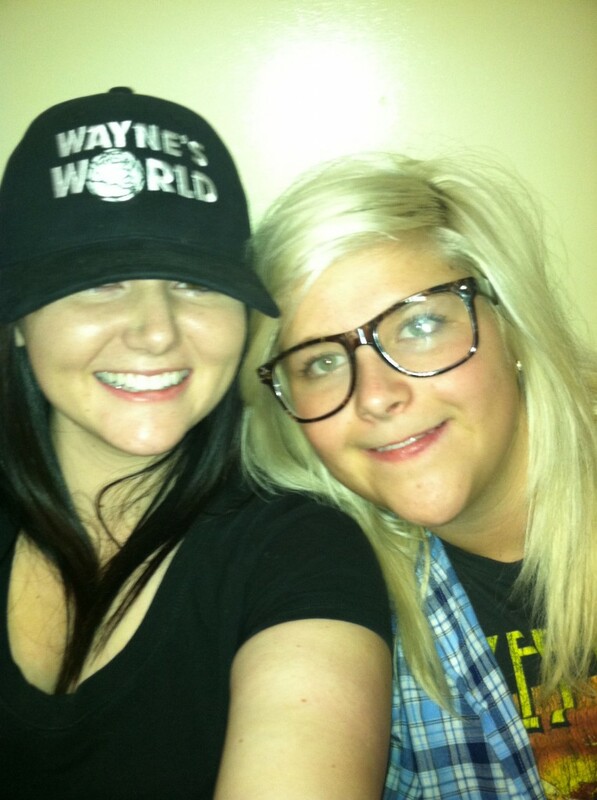 We decided to be Wayne + Garth from Wayne’s World because I have dark hair (like Wayne) and J has blonde hair (like Garth). Dark hair, preferably shoulder length/mullet-y. You can get wigs here (or at any local halloween shop). Watch both movies a few times before Halloween and you’ll be ready! 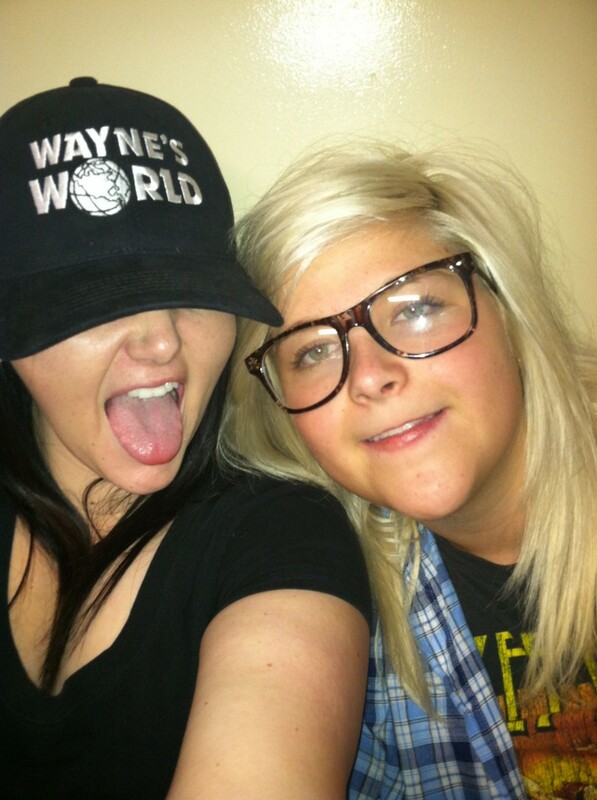 This entry was posted in Fall 2012 and tagged Couple costumes, Halloween, Halloween Costumes, homemade halloween costumes, Jackie Andrew, Party on, party time excellent, Salt Lake City Halloween, Wayne and Garth, Wayne's World, Wayne's World Halloween costumes by Brooke. Bookmark the permalink.